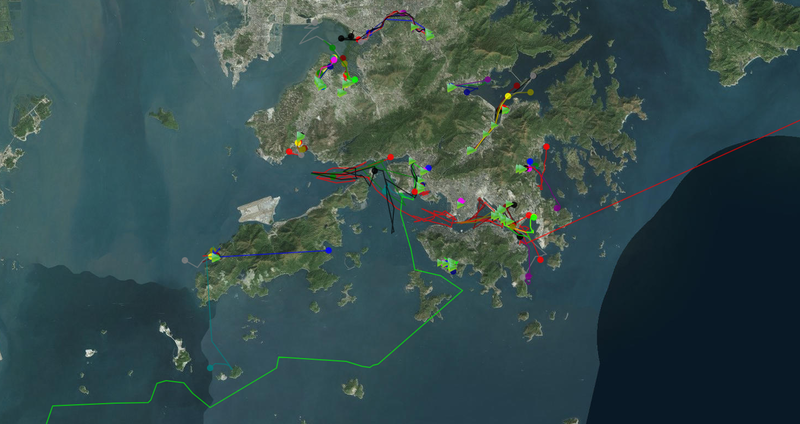 The sources of Hong Kong’s marine litter can differ widely across the territory, depending on the area’s geographical location, orientation and human uses. Understanding the sources of marine litter in the different districts is important in developing more targeted strategies and tactics. To achieve this goal, WWF has been partnering since 2017 with various local community groups including fishermen, community centres, owners’ corporation and district councillors in 10 districts. Through coastline surveys and clean ups, as well as conducting community workshops and forums, we aim to formulate solutions to tackle our marine litter problem. WWF launched the ECF Sea Without Litter project in 2016 to promote the idea of marine litter source reduction through engagement with the marine recreational industry, fisheries industry and schools. To continue this spirit of empowering society to more proactively solve the marine litter problem, a community-based approach by training community leaders and implementing demonstration projects will be launched in November 2018. A clean and healthy sea allows marine recreational businesses to thrive and allows for the enjoyment of sea-goers. However, seaside leisure activities tend to create significant litter and have been identified as among the sources of our marine litter, which increases from May and peaks in August, coinciding with the peak season of marine recreational activities1. Increased rainfalls in the summer months also contribute to the problem by washing seaside litter into the sea. In April 2017, WWF launched the “ECF Sea Without Litter” project, involving more than 30 marine recreational groups and businesses. Participating groups helped educate their staff, members and customers about marine litter and invited them to help clean up the sea. 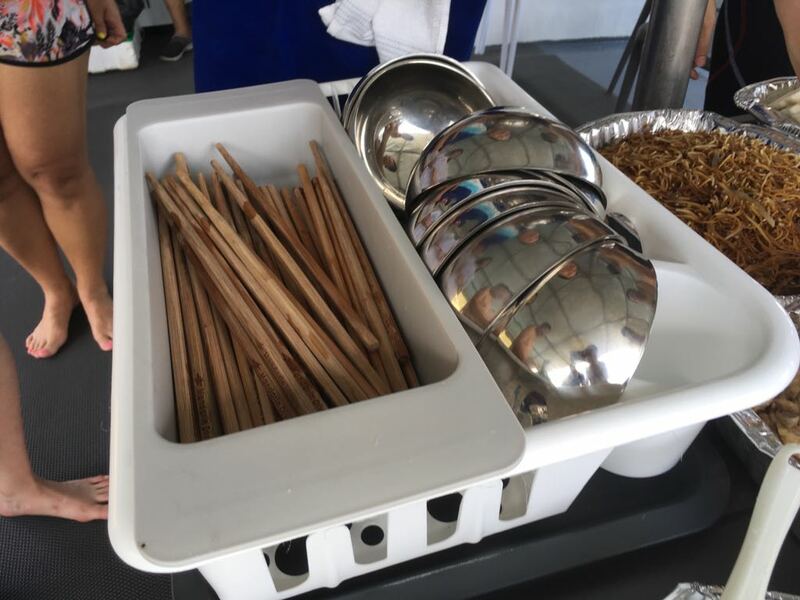 The groups were also encouraged to improve their operations, such as sorting and recycling their waste and to replace disposable tableware and cutlery with reusable ones. Following the conclusion of the project in September 2018, a brainstorming workshop gathered opinions and suggestions from various groups to identify challenges faced in waste reduction and treatment. Their valuable input helped us formulate our next steps to further engage with the marine recreation sector and to facilitate seaside waste management and reduction. While floating litter and those at shore are relatively accessible for general clean-up, underwater litter require the help of divers. WWF cooperates with the AFCD and the Hong Kong Reef Check to engage reef check teams and volunteer divers to conduct surveys on underwater litter. Mesh bags are provided to divers for them to pick up litter during dives. What lies beneath? 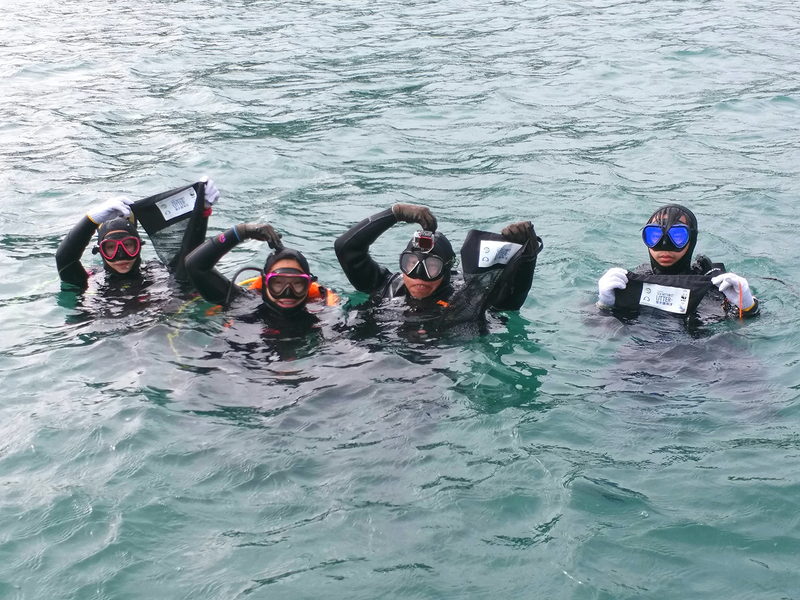 WWF cooperates with AFCD in the Hong Kong Reef Check to educate divers on the variety of underwater debris they may encounter. Check out the video to see what they found! A clean and healthy sea allows marine recreational businesses to thrive and allows for the enjoyment of sea-goers. However, seaside leisure activities tend to create significant litter and have been identified as among the sources of our marine litter, which increases from May and peaks in August1, coinciding with the peak season of marine recreational activities. 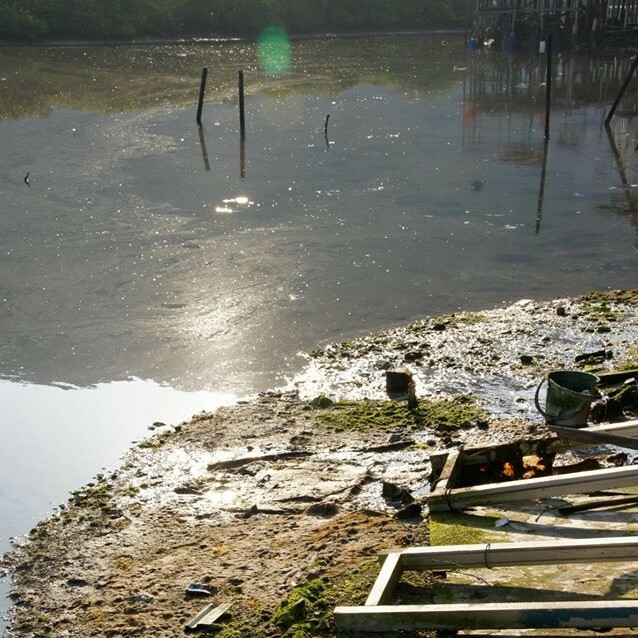 Increased rainfalls in the summer months also contribute to the problem by washing seaside litter into the sea. Floating litter and those at shore are relatively accessible to general clean-up volunteers and workers; however, underwater litter should not be neglected. To retrieve litter at the bottom of the sea, we require the help of divers. 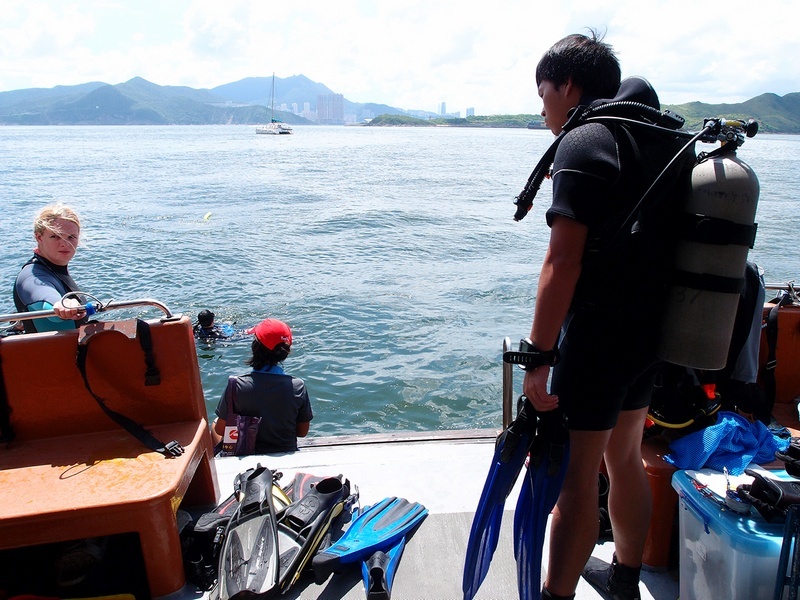 WWF cooperates with AFCD and the Hong Kong Reef Check to engage reef check teams and volunteer divers to conduct surveys on underwater litter. Mesh bags are provided to divers for them to pick up litter during dives. Let’s clean up the sea while having fun! •	Mott MacDonald (2015). 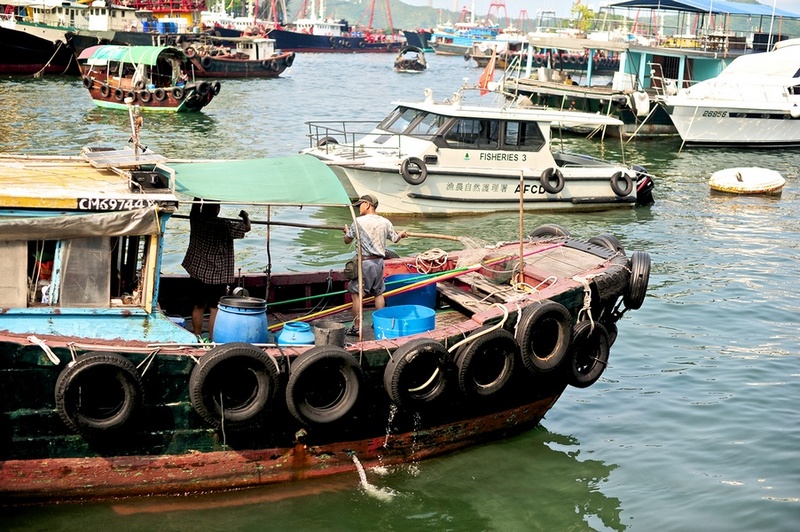 Investigation on the Sources and Fates of Marine Refuse in Hong Kong. Fish stocks have already dropped severely due to unsustainable fishing practices. Inadequate regulations and a lack of marine protected areas continue to worsen the situation. Taking action to restore our marine ecosystem is the only way to prevent a widespread collapse of fish stocks and achieve sustainable fisheries in the long term. 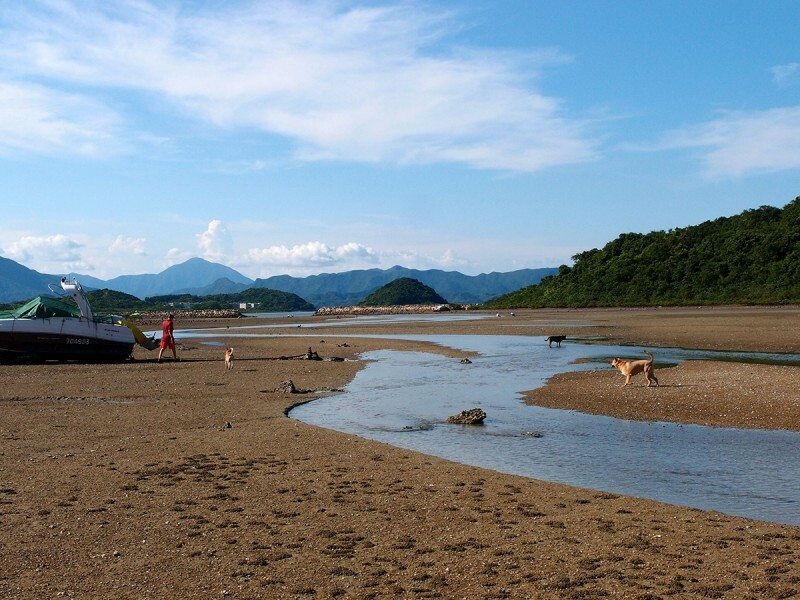 We have chosen six marine habitats for this project: mangroves, mudflats, sandy shores (which are non-gazetted beaches), rocky shores, coral communities and coastal water areas (selected areas in the waters off Aberdeen and Cheung Chau Island). Through understanding the biodiversity and marine litter problem in these habitats, we hope to formulate practical solutions to conserve our marine environment. Studies from Coastal Watch have found polystyrene fragments to be among the top 10 of most common types of marine litter in Hong Kong. One of the sources of polystyrene fragments is the boxes commonly used by the fishery and seafood industry. Polystyrene is fragile and light. It breaks into small pieces easily and is carried away swiftly by wind and water currents, hence affecting large areas of the coastline that are difficult to clean. Polystyrene also has a high thermal insulation capacity, which is ideal for keeping fish fresh during transport and is therefore widely adopted by the fishery and seafood industry. Due to the fragile nature of the fish boxes, fragments are often broken off during operations and enter the sea easily. Their operations are in close proximity to the sea, any accidental leakage or intentional dumping of fish boxes into the sea causes much contamination. There is growing awareness within the industry to the problem of polystyrene fish boxes. WWF is working with the industry to study feasible alternatives to polystyrene fish boxes. 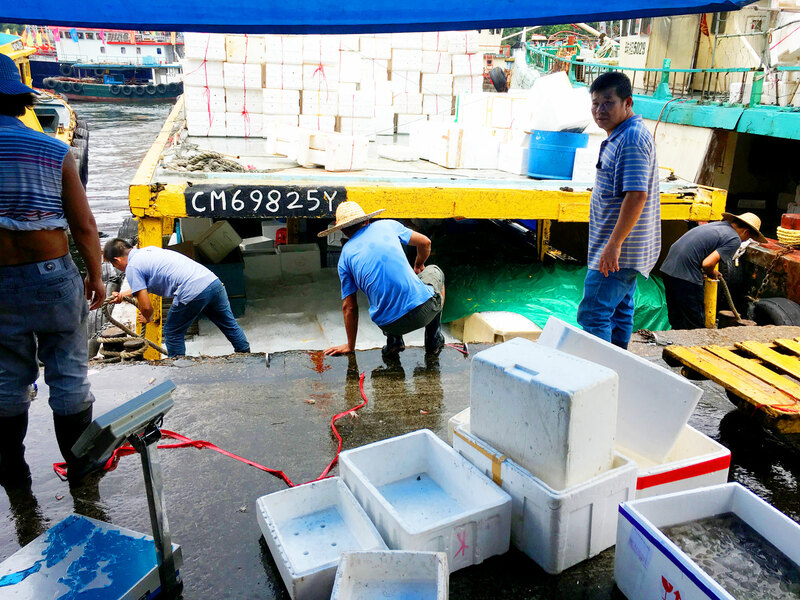 To ensure adequate thermal insulation capacity of alternative boxes, a series of thermal insulation tests of substitute boxes are conducted at a wholesale fish market. The involvement of the industry in selecting the box is crucial. WWF is engaging with them to seek their input and brainstorm on ways to improve fish box collection methods to reduce dumping into the sea. Abandoned fishing nets, also known as ghost nets, are a global problem that greatly impacts wildlife. Entanglement causes wildlife injury even death, especially when it traps marine mammals underwater, drowning or starving the trapped animal. There is little incentive for the fishing industry to collect worn-out nets due to no convenient outlet or extra fees. Furthermore, when nets are tangled up at the bottom of the sea, the effort and resources needed to retrieve them is much greater than buying a new net. Removing an underwater net could be dangerous and requires experienced divers to do so. Currently, a specialised team of divers in AFCD is responsible for removing ghost nets. Nevertheless, their manpower is limited and the exact location of reported ghost nets is often hard to find. WWF is developing a citizen science survey and ghost net reporting system to improve the success of locating the ghost nets and will aid in the training of more divers to assist in removing these nets. We believe that the less time a net is in the water, the less chances of it entangling and killing marine life. 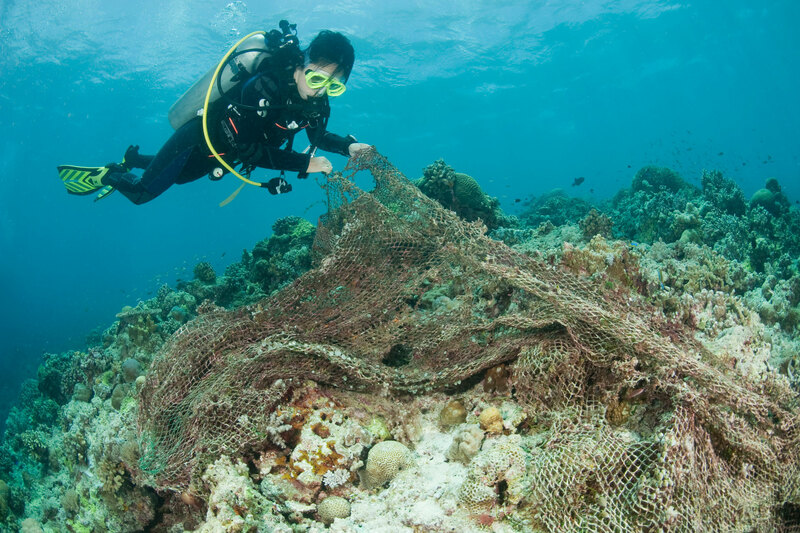 Other than enhancing the removal of ghost nets, WWF will engage with the fishing community to improve net collection and recycling, to reduce the number of nets abandoned at sea. Recycling discarded fishing nets into fashion accessories is also another initiative carried out with fashion brand Ooobject, highlighting how the fashion industry can also play a role in marine conservation. WWF is working with the industry to study feasible alternatives to polystyrene fish boxes. WWF is also seeking the industry’s input on improving fish box-collection methods to reduce dumping into the sea. 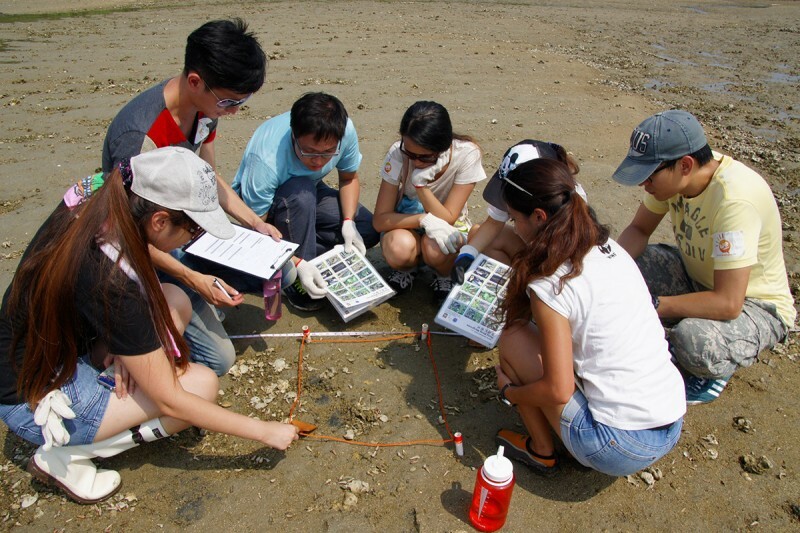 A recent survey recorded 5,684 marine species in Hong Kong waters. Although Hong Kong takes up only 0.03 per cent of China’s total marine area, the number of marine species recorded in our waters is approximately 25 per cent of the total marine species in China. The number of marine species per unit area in Hong Kong is a few hundred times more than many other regions of the world, underlining the exceptional marine biodiversity in our waters. The green turtle is the only sea turtle species which breeds in Hong Kong. An endangered species and legally protected in Hong Kong, they are extremely vulnerable to impacts from marine litter. Why? Because some types of marine litter like plastic bags can resemble jellyfish – one of their primary types of food. 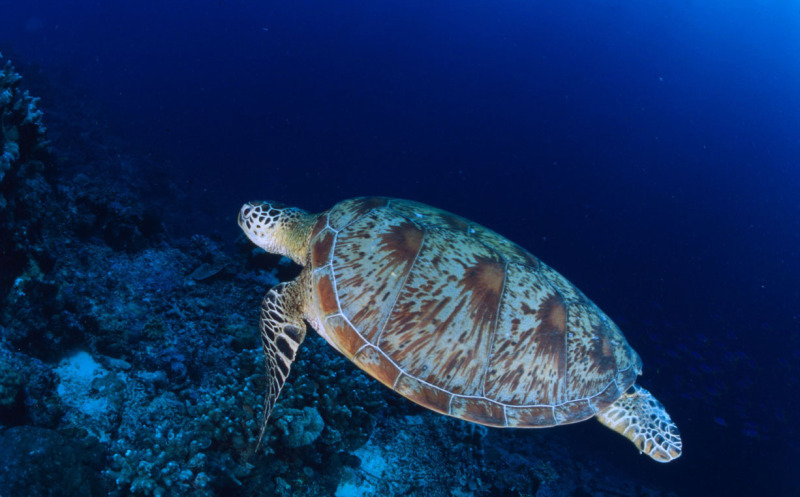 Ingestion of marine litter can harm or kill green turtles. 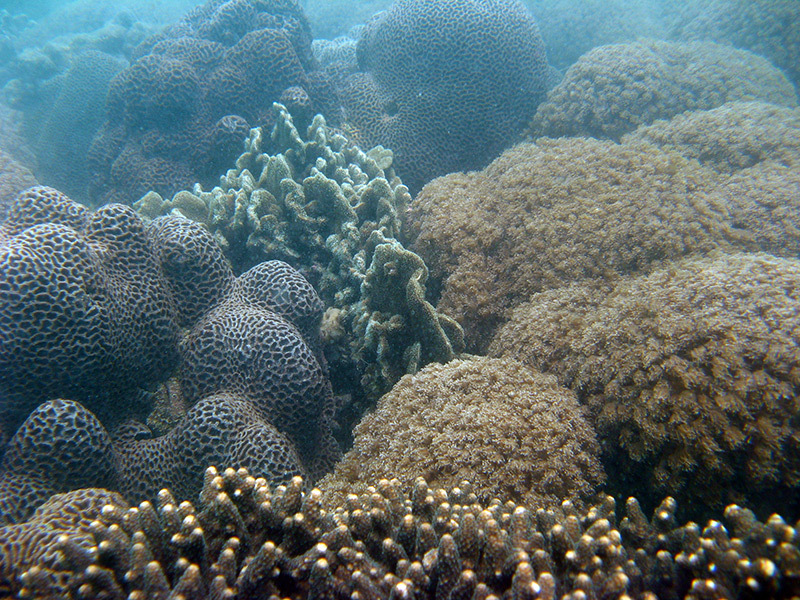 The majority of Hong Kong’s coral species are mainly found in the eastern waters. 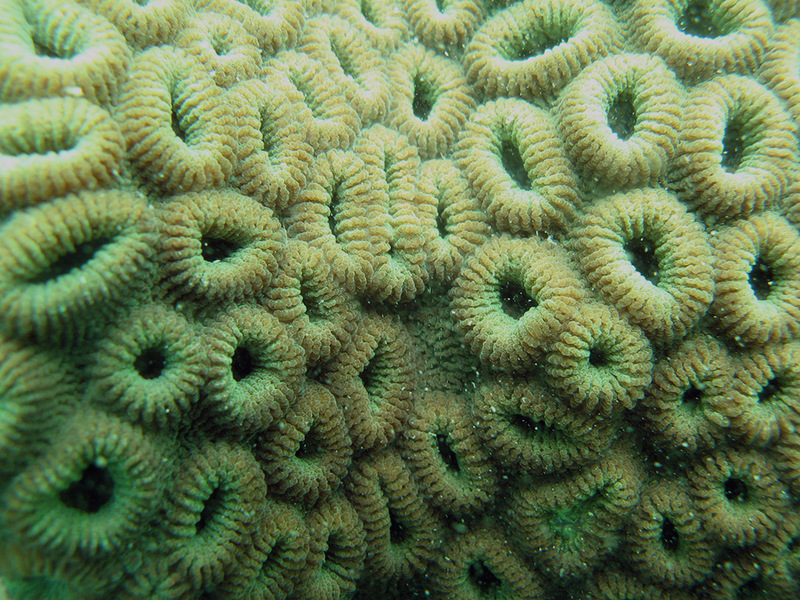 The shape and form of these corals are highly variable, and they form coral communities. 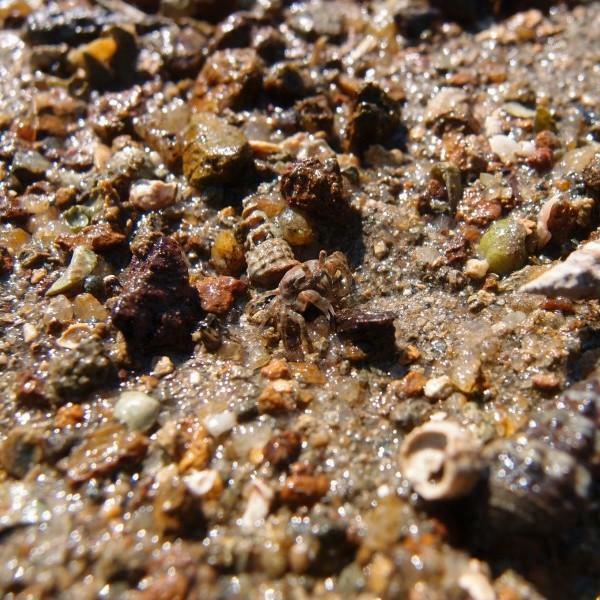 These communities provide food and shelter to numerous marine organisms, and thus they have extremely high ecological value. 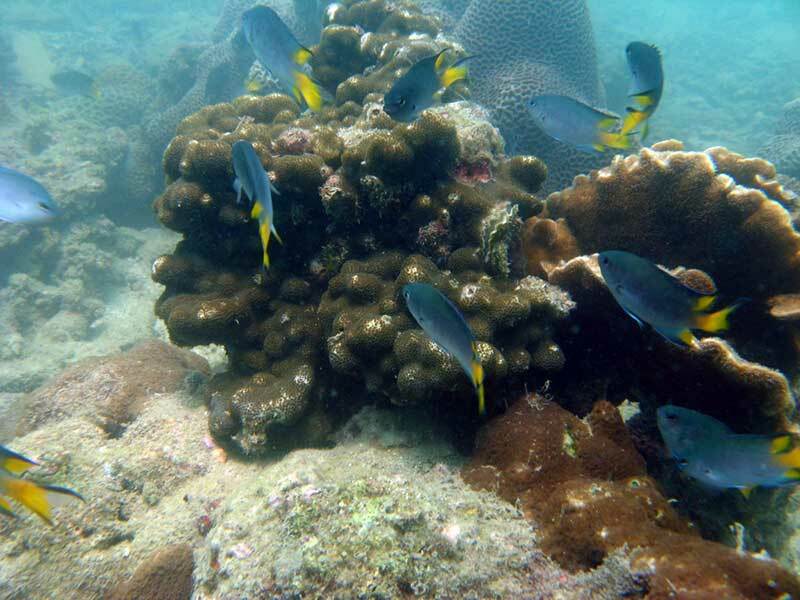 However, coastal development, overexploitation and destructive fishing practices all have negative effects on corals. Hong Kong is home to a number of rare and iconic marine species. 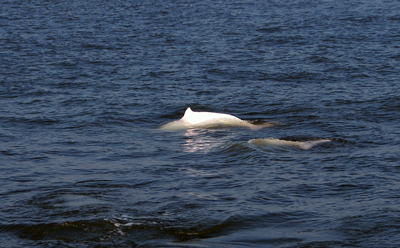 The Chinese white dolphin is one of the most famous and recognizable, having been the official mascot for the 1997 Handover. However, in recent years, the dolphin population has been threatened by various human activities, leading to a serious reduction in their numbers in the past decade: about 62 individuals are now left in Hong Kong waters. 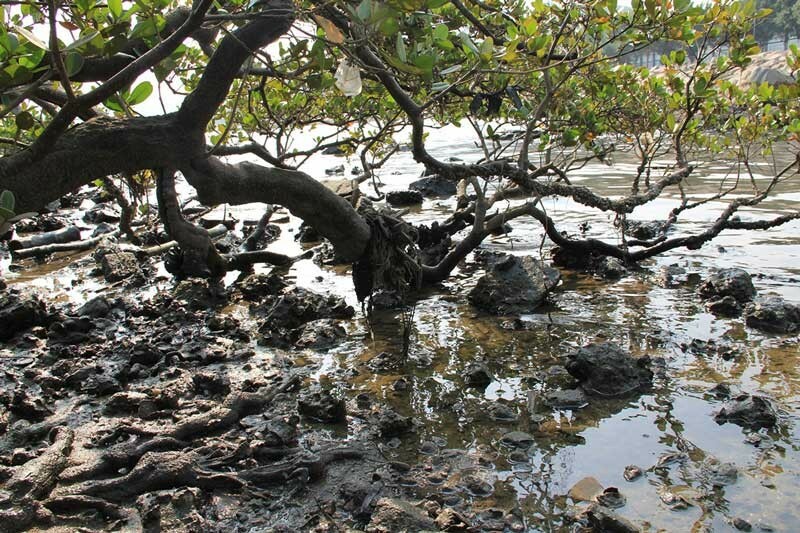 Mangroves grow in coastal environments with loose soil that are sometimes covered by tidal waters. 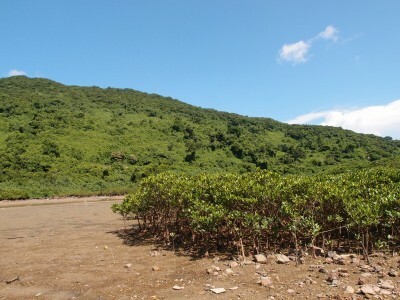 These environments are not conducive to the growth of vegetation, but mangroves have adapted through several unique characteristics. 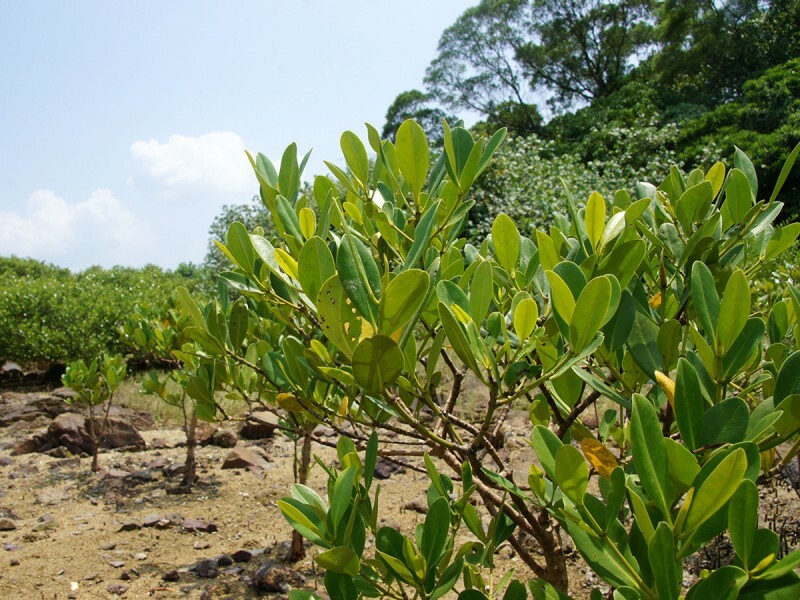 Eight true mangrove species are found in Hong Kong, but pollution and urban expansion pose significant threats to each of these species. 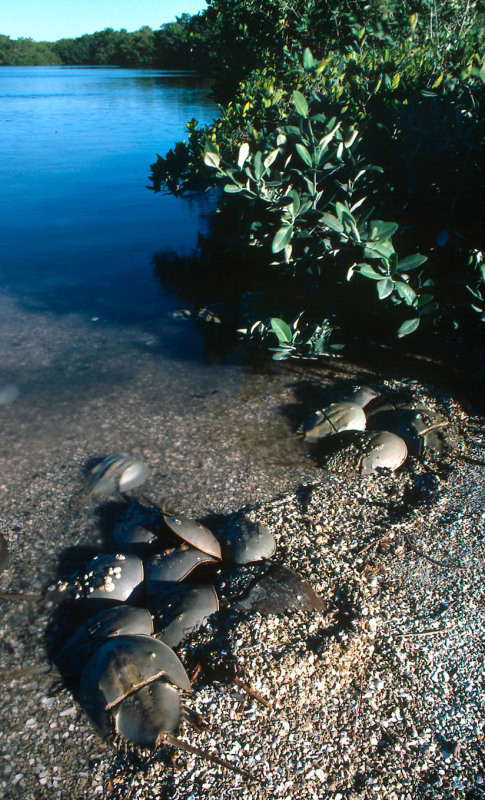 The horseshoe crab is regarded as a living fossil as this crustacean has lived on Earth for over 300 million years. Here in Hong Kong, our Horseshoe crab population has dropped dramatically due to coastal development and pollution, but ironically these creatures can still be found – and eaten – at seafood restaurants. There are various form of marine litter produced by both land-based and sea-based activities. 60-80% of marine debris is generated from land sources. The main sources of this debris are littering, dumping in rivers and streams, and industrial mishaps or losses – such as the spillage of plastic resin pellets – during production, transportation and processing. They can be blown, swept or washed out to sea. 20-40% of marine debris originates from sources at sea. Debris sources include offshore oil and gas rigs or platforms, fishing boats, merchant ships, container ships, ferries and cruise liners. The debris can be dumped, swept, or blown off vessels and stationary platforms. One of the most notable negative impacts from marine debris is wildlife entanglement. Numerous marine animals become entangled in marine debris each year. Entanglement can lead to injury, illness, suffocation, starvation and eventually, death. Many marine creatures, from sea turtles to seabirds and marine mammals, are known to ingest marine debris. The debris items may either be mistaken for food and ingested; an animal’s natural food (e.g. fish eggs) may become attached to the debris; or the debris item may be ingested accidentally with other food. Whatever the method of consumption, ingestion of debris may lead to loss of nutrition, internal injuries, intestinal blockage, starvation and even death. Marine litter can scour, smother, and otherwise damage important marine habitats such as coral reefs. Many of these habitats serve as the basis of marine ecosystems and they are thus critical to the survival of many other species. Marine litter can also affect a society economically. The impacts of marine litter on marine resources, tourism, vessels and navigation, ecosystems and human health and safety are difficult to quantify, but each factor has costs associated with it. From unsanitary forms of debris to unsafe types such as broken glass in the sand, to large pieces of debris in navigable waters, marine litter is an undeniable threat to human health and safety. 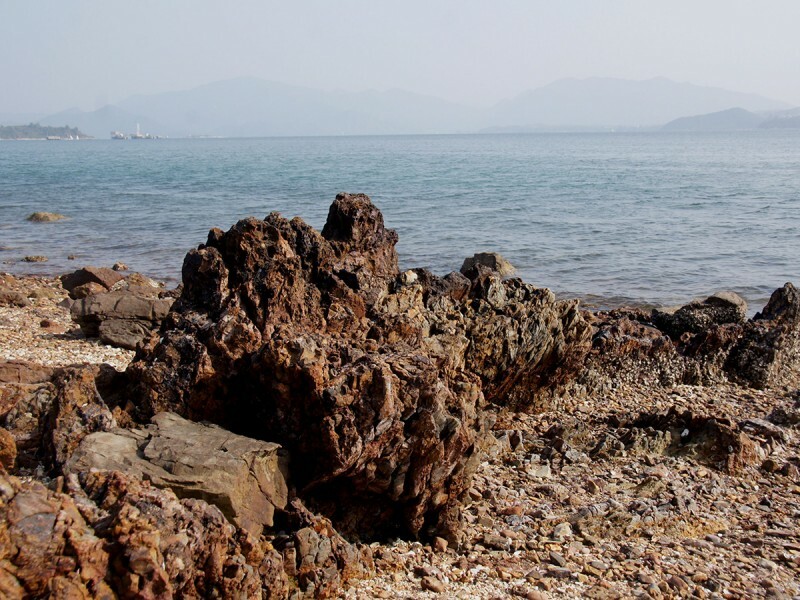 Located at the mouth of the Pearl River, Hong Kong faces a serious trans-boundary marine litter problem by no means unique to Hong Kong. We have to form cross-border partnerships to tackle the problem comprehensively as knowledge-sharing and collaborative actions between NGOs and community groups across the border are vital. 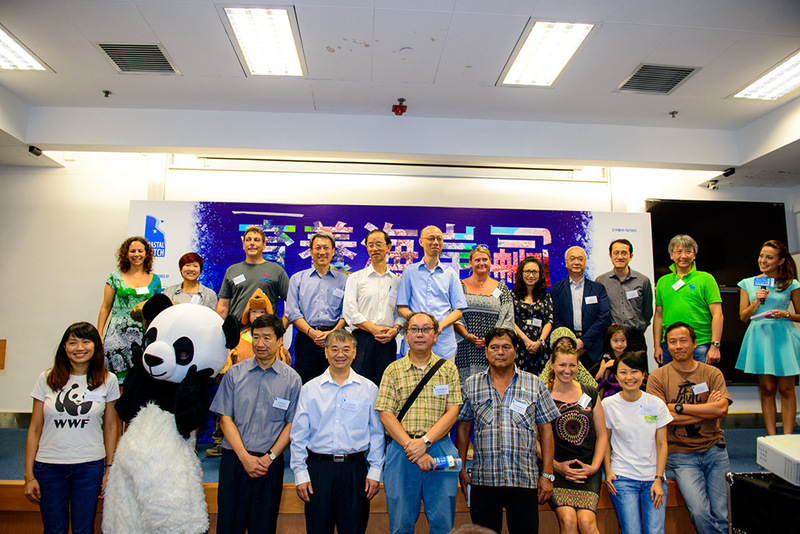 WWF is actively engaged with NGOs from mainland China, Macau and Taiwan. 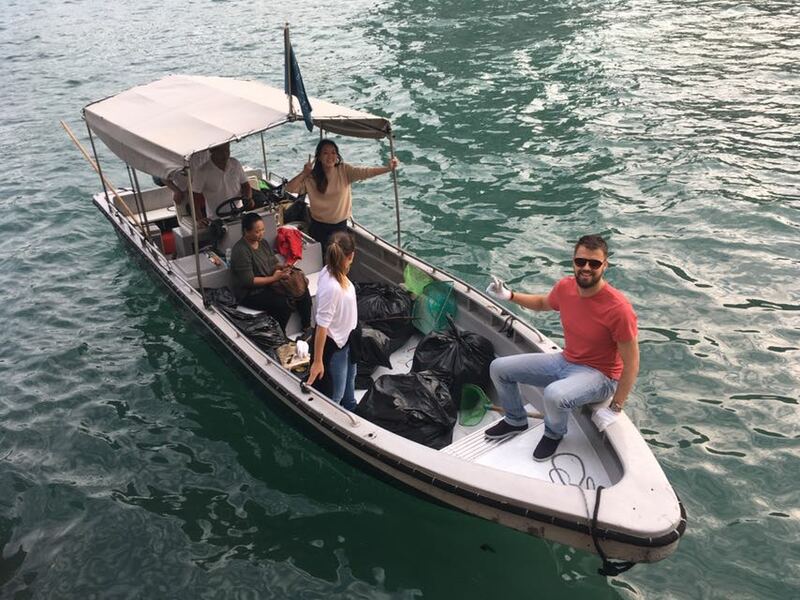 Through various cross-border workshops and field trips, we exchange ideas and initiate cross-border collaborative actions to solve the regional marine litter problem. 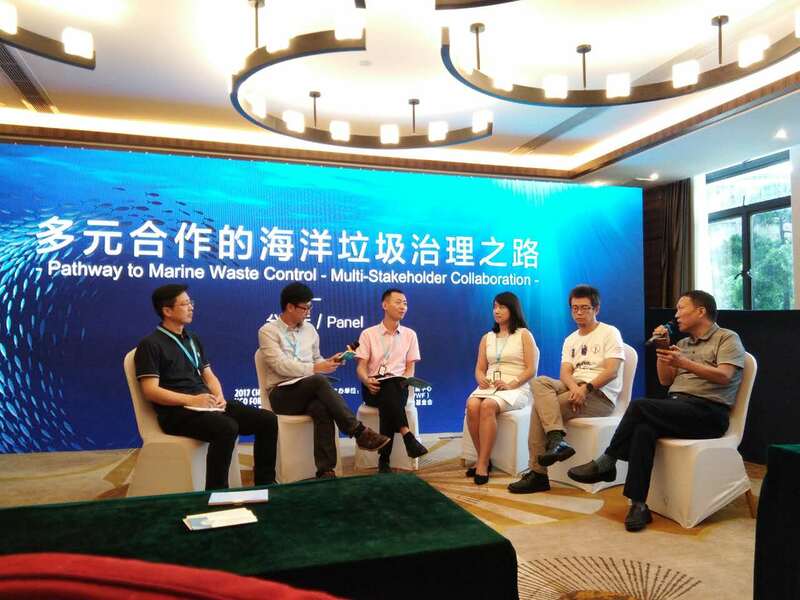 These initiatives strengthen the bonds between stakeholder groups from the Greater Bay Area, which is inter-connected by the Pearl River, to share responsibility for the cleanliness of the region. A significant amount of litter generated on land eventually filter to the ocean. But how do they end up there? 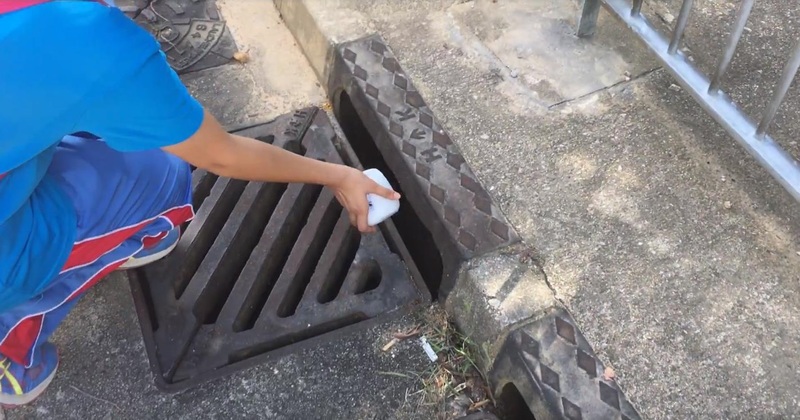 WWF, in collaboration with MakerBay, designed a GPS tracking device to monitor where litter end up once they enter the sea through inland storm drains and rivers. In the summer of 2017, we recruited students from 11 schools to become citizen scientists by helping trace litter movement. Their findings (interactive map) showed that 20-40% of these devices ended up in the sea from storm drains and rivers, proving that litter generated from land do end up in the sea, especially during rainstorms. One of the devices even travelled more than 800km from Hong Kong to Taipei, which highlights the transboundary issue of marine litter. 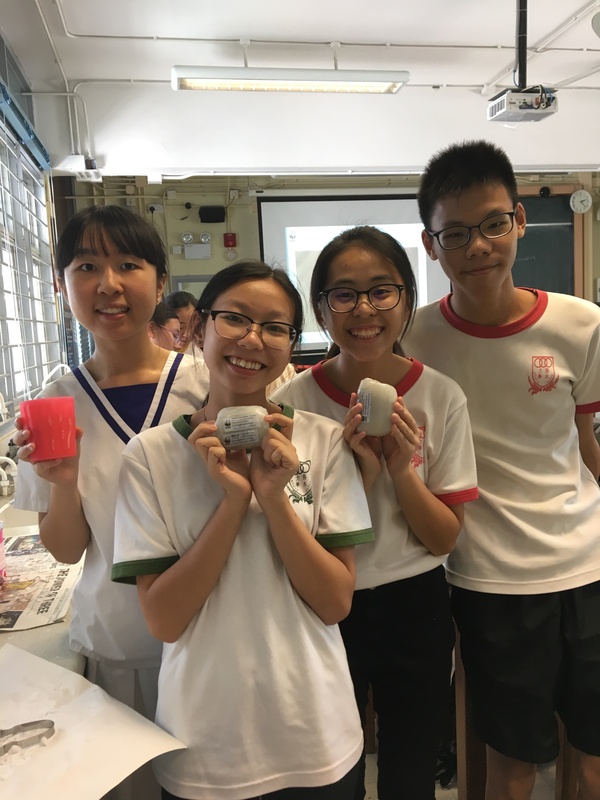 After the series of workshops and field studies, participating students were also inspired to develop their own initiatives in schools and communities, so that they could act as our ambassadors to spread the conservation message to the wider audience. An upgraded version of the device will be launched soon to help develop regional cooperation on raising global awareness about land-based sources of marine debris. Stay tuned! Participating teams will conduct ecological surveys at their “adopted” site. The surveyors will create a species checklist for the habitats at the site, collect data on biodiversity, and take photographs. The survey methodologies are tailor-made for the different habitats. 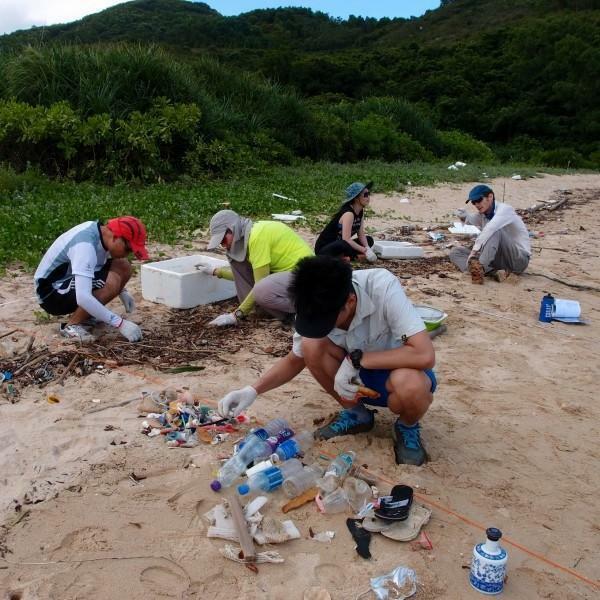 A scientific survey of marine litter using an internationally-recognized methodology will be conducted. 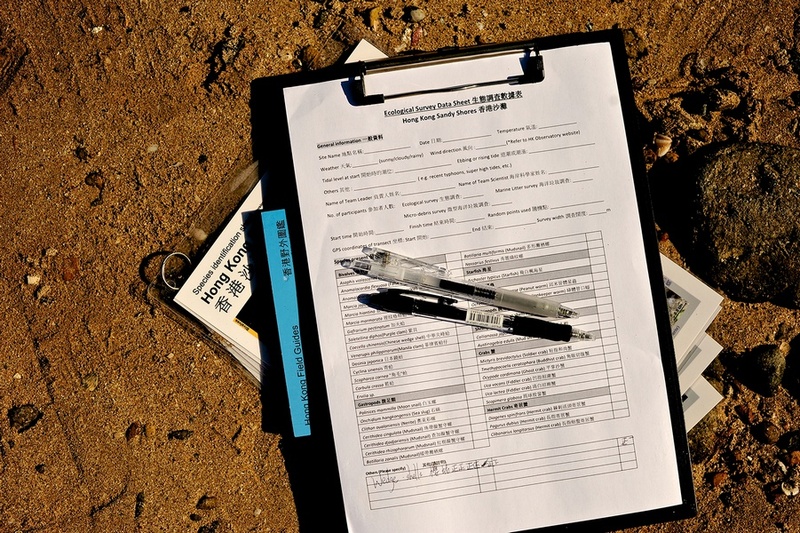 This survey will provide information on the rate of deposition, debris type and weight and any markings which will allow its source to be identified. A survey of micro debris (between 1mm and 1cm in size) will be conducted according to existing National Oceanic and Atmospheric Administration (NOAA) protocols. This survey will provide important information on the composition and rate of deposition of the micro debris. 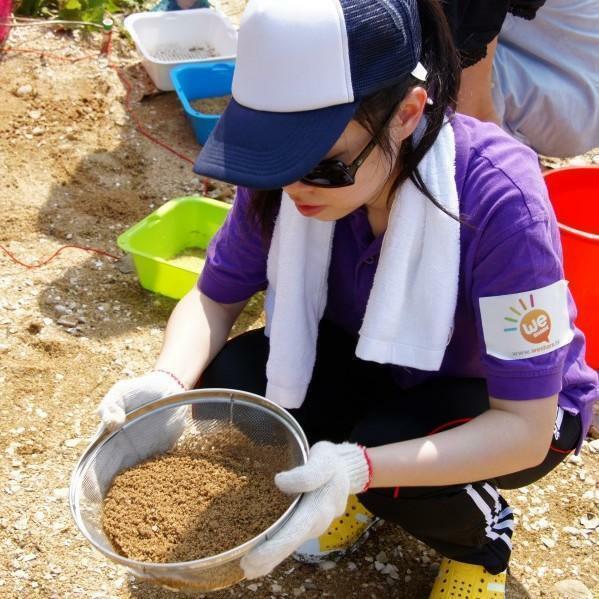 After completing the surveys, the teams will remove the litter and debris from the sites. The litter will be sorted into recyclable and non-recyclable materials, and then packed into bags in different colour for recycling and disposal respectively.